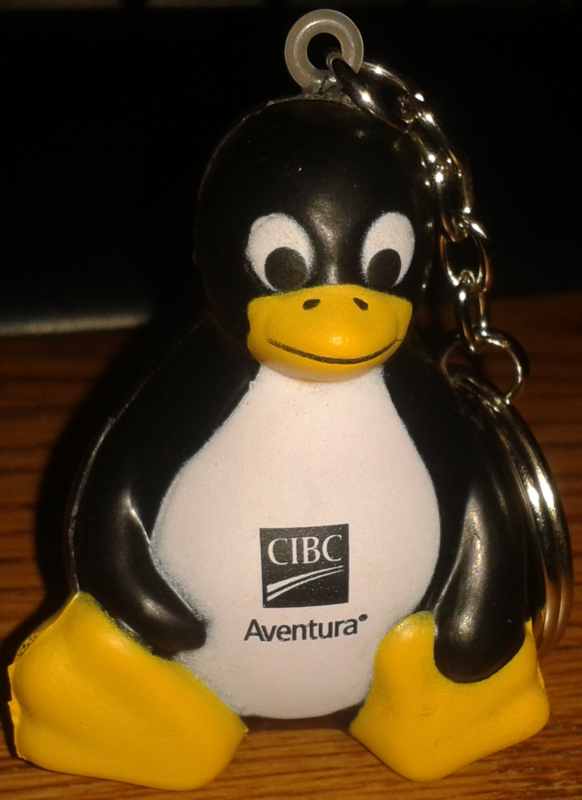 It seems that Tux, the Linux mascot, is now moonlighting for the CIBC, a Canadian bank. 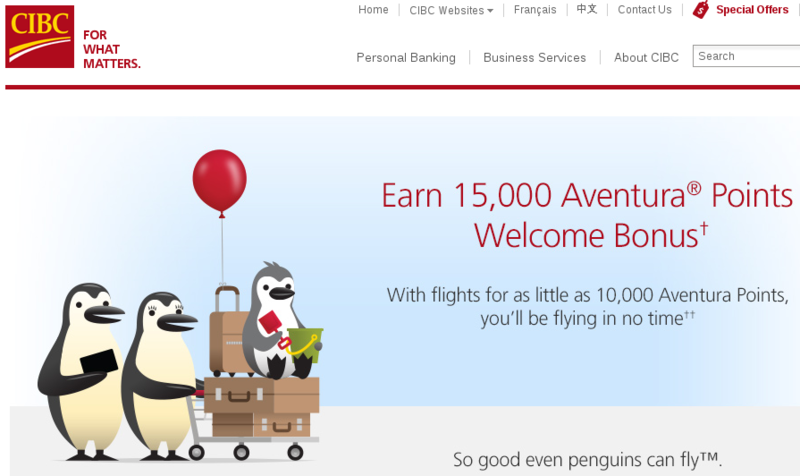 The Canadian Imperial Bank of Commerce, also known as “CIBC”, is currently running a campaign surrounding its travel rewards programme, with a tagline of “So good even penguins can fly(tm)”. There have been some TV commercials with penguin families humorously “talking” about their not always succesful trip planning experiences. All of the penguins in the live TV commercials appear to be close approximations of some variety of real penguins, and of course, the digital renderings / puppets / whatever are digitally or otherwise manipulated in an anthropomorphic fashion with human voice-overs in order to appear to be like regular people. On the CIBC website, the cartoonish penguins look sufficiently different from the “live penguins” on TV and look like they’re straight out of a Saturday morning cartoon. While I suppose that the “live” penguins and the cartoons may look vaguely similar, it’s in the fashion that the Flinstones or the Jetsons look like you and me. But wait, folks, as the screenshot above shows, the cartoon penguins don’t resemble our hero. So, as I said, it seems that Tux is moonlighting.